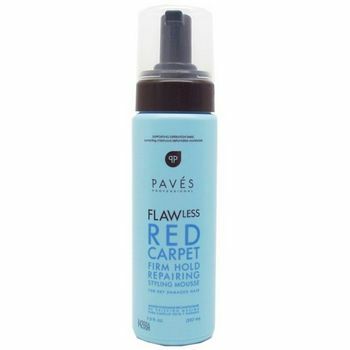 Hit the red carpet with full, picture perfect smooth locks that bounce back into place at the turn of a dime. And feel free to brush out and reapply without excess weight or flaking. Honey and Natural Quats hold style firmly in place while resisting against humidity. A strengthening complex of proteins and polymers to add elasticity and shine, protecting fragile hair from over-styling and over-processing. A revitalizing complex of Burdock and Ginseng Root extracts to help stimulate hair growth. Roman chamomile and Rose oil to sooth dry, irritated scalp. Scented with nourishing essential oils, no damaging synthetic fragrances.